“We’ve got the first ‘undred pound ‘ooligan, Kevan, do you kn0w that?” Our friendly local Bobby and Management Committee member was proud of the milestone we passed at Potter’s Bar Youth Centre in 1971. “How come, Peter?” I asked. I could guess who it was, but didn’t know about this incident away from the Youth Centre. It had taken me a while to tame the membership after the peremptory departure of the Leader-in-Charge. I discovered how dark was the cloud he had left under, only many months later. 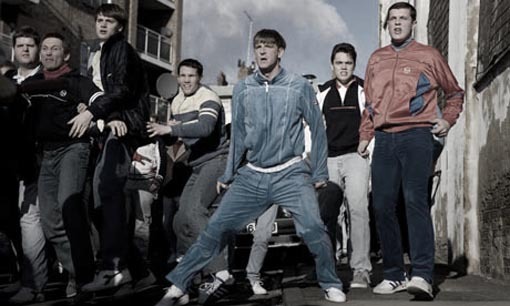 The ‘ooligan I suspected had led a gang who terrorised both the youth centre (and the other young people of course – they are always the highest proportion of victims of youth crime) and the Tottenham estate. Twenty (sic) of the gang had eventually been convicted of a favourite trick of standing blocking the road. When the driver got out they would add some insult before shambling off. When they added injury to the insult, the law decided they went too far. At Christmas, PC Peter had told me with much relish, that they had the leader in the nick, rolling round in his own vomit, in his brand new full length fur coat that his Daddy had spoilt him with. So what had he got up to now? I didn’t ask if he thought we should put up a plaque. ← 2025 News Flash: No Antibiotics for the Promiscuous.